For over a century, Baltimore has been a hub for dirty energy sources and other industry that has put our environment and our communities in danger. From coal-burning power plants and the BRESCO trash incinerator to crude oil train terminals and the coal export facility in South Baltimore, dirty energy has made Baltimore fail to meet health-based air quality standards, displaced residents, all while failing to supply enough jobs to keep Baltimore's economy strong. The city has long failed to meet federal health-based air quality standards for ground-level ozone, which contributes to asthma. And as climate change threatens some of Maryland's most vulnerable communities with flooding, extreme weather, and sea level rise, oil companies using the Port of Baltimore to enable crude oil extraction in North Dakota puts the threat we face into even greater focus. But Baltimore could fight fossil fuels and build the green energy economy by manufacturing and assembling parts for offshore wind farms up and down the East Coast. The Maryland Public Service Commission is now considering two proposals to construct wind turbines 17 miles off the coast of Ocean City, and Baltimore-based US Wind has submitted a proposal to build the 187 wind turbines - the first large wind farm in the country, producing enough power for over 500,000 homes. 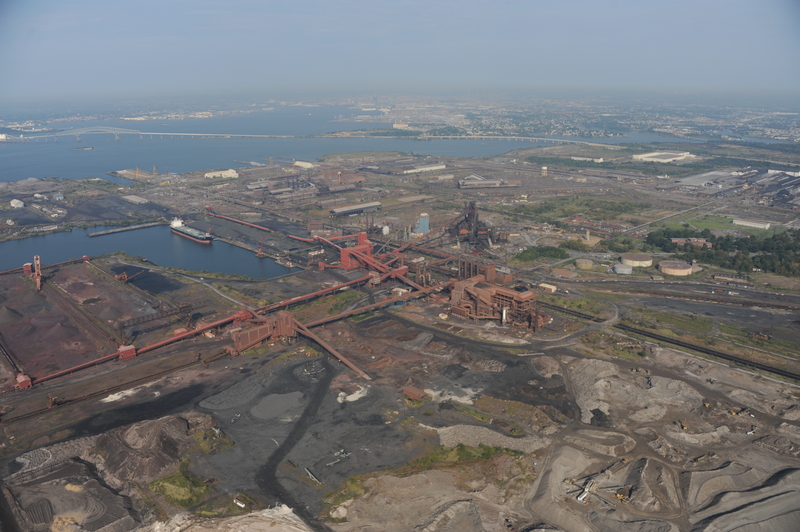 If their bid is accepted, they want to build a manufacturing and assembly plant at Sparrow's Point, where Bethlehem Steel once employed thousands of Baltimoreans. That could make Baltimore the first US city with the ability to manufacture parts for offshore wind turbines at a large scale, drawing future East Coast wind farms to use the Sparrow's Point facilities and creating a long-term, sustainable, green industry that would employ high-paid union workers far into the future. Building offshore wind would also mean that state subsidies for renewable energy are creating truly green, local jobs for Baltimoreans. The Maryland Renewable Portfolio Standard, which incentivizes renewable energy sources, now sends a majority of its resources to out-of-state power generation. Of renewable energy credits produced in Maryland, over 40% of the most valuable credits ("Tier 1" credits) are from burning trash - including at the BRESCO trash incinerator, the biggest source of air pollution in the city of Baltimore. Offshore wind represents an opportunity to direct more of these resources toward a truly clean energy source that will also generate long-term, high-paying jobs in Maryland. If Maryland takes bold action now to build a large offshore wind farm while the U.S. offshore wind industry is just beginning, Baltimore could become the East Coast manufacturing hub for this industry. Other states are also seeking this “first mover” advantage, but the Port of Baltimore is a prime location with a long history of steel manufacturing - in the 21st century, let's turn that history toward fighting climate change. Please submit a comment to the PSC urging them to make Maryland a leader in offshore wind and bring thousands of jobs to Baltimore. And join me at next week's public hearing in Annapolis to deliver your comments in person. Together, we can bring 21st-century manufacturing jobs to Baltimore and make our city the leader in green energy it deserves to be.